I can hardly believe this day has finally come. It was eight years ago today that my wife an I were in the middle of a crazy cross-country road trip. After spending our entire lives up to that point living in Florida — and cheering on the Tampa Bay Lightning — we dropped everything and moved to the opposite corner of the country for two amazing jobs. 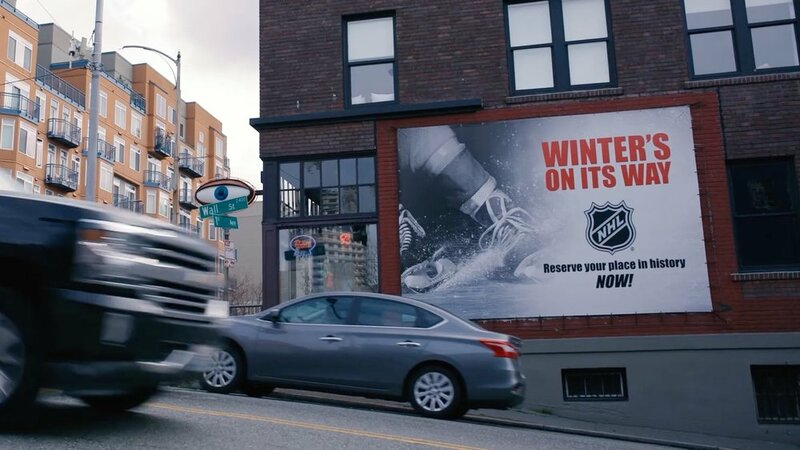 We arrived in Seattle — a big city packed with sports fans but without a hockey team to cheer on. I’ve been backing my Bolts from afar ever since then, of course. Their marketing team calls me and others the Distant Thunder. I watch all 82 games on TV every season, but being “distant” means I only get to see them in person once a year and even that requires eight hours on a train to Vancouver and back. 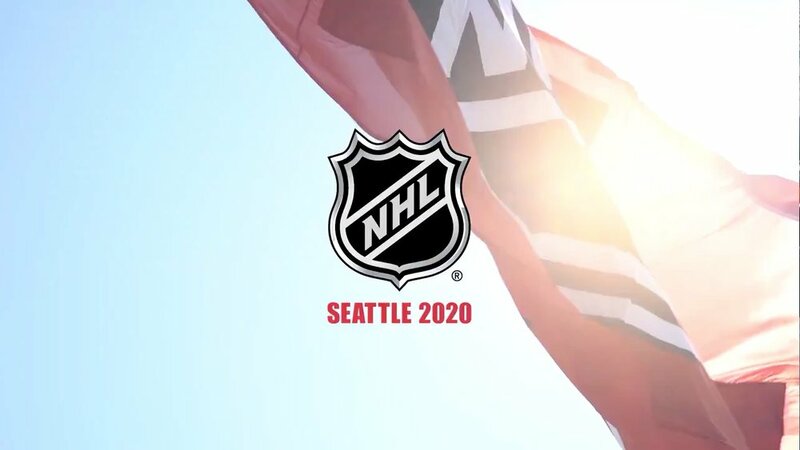 So I’ve always dreamed of Seattle getting its own NHL franchise. Today, that dream came true in Sea Island, Georgia where the NHL officially awarded its 32nd franchise to my city to begin play in the 2021-22 season. I’m beside myself. It all began in earnest last year with an ownership group led by billionaire David Bonderman and Hollywood mega-producer Jerry Bruckheimer. When they hired former Lightning CEO Tod Leiweke in April to run their new franchise, that was the moment I was all in. I know he knows hockey. And as the former CEO of the Seahawks, I know he knows Seattle. On March 1, 2018, I was the 618th fan in line to place a season ticket deposit — three seats at $500 apiece, I don’t mind saying. I and 32,000 of my fellow Seattle hockey fans proved to the world that we deserve a team. The arena, when it’s rebuilt in 2020 will only seat 17,000 so I anticipate nightly sellouts in 2021 and beyond. Three years seems like a long time from now, but I know it will fly by when we start unveiling names and logos and hiring scouts and coaches and building out our front office and training facility and on and on. June 2021 will be here before we know it and we’ll draft our inaugural team. They’ll come together for their first practice in Northgate. And then the first regular season puck drop. I’ll look back at this post that day and it’ll feel like yesterday. But that’s all still to come. For now, Icethetics is still a place to talk about jerseys and logos. But Tod and the group have stayed quiet on that subject so far. And while there’s nothing official to report yet, I do have some thoughts of my own to share. 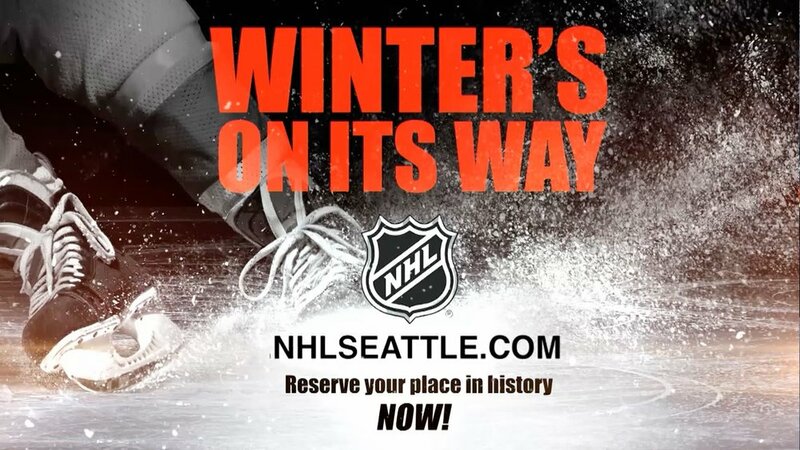 If you’ve followed the NHL Seattle saga over the last year or so, you’ve probably noticed all of their marketing materials have been branded the same way. Everything is red and black — arena renderings, billboards, website graphics, Facebook and Twitter icons, all of it. Even the local youth team jersey that’s been present on the stage for their major announcements, including today’s, is red and black — the Washington Wild, who basically wear New Jersey Devils sweaters. In an NHL that already has six teams wearing red and black — Arizona, Carolina, Chicago, New Jersey, Ottawa, and Calgary, in our own Pacific Division — it might seem like an odd choice. But if you really think about it, it sort of makes sense. First, the Seattle organization, with Leiweke at the helm, is less interested in how it fits into the NHL landscape right now as much as it is with being the local pro hockey franchise. With most of our other major sports teams wearing blue and green — even the Vancouver Canucks across the border — you might be forgiven for asking how red and black make the team feel local. You think of the Northwest, and you think blue and green. I get it. That brings me to my second point. They want to stand out. This team doesn’t want to blend into the background of Seattle sports. They’re trying to make a splash in an already passionate sports city. Plus, there’s always the merchandising aspect. If the hockey team is blue and green, you’d probably see a few too many Seahawks and Sounders hoodies in the stands. No, thank you. Lastly, and most importantly, our ties to the local Native American tribes run deep. Seattle, if I’m not mistaken, is the largest U.S. city named after a Native American — Chief Seattle — a leader of the Suquamish and Duwamish people in the 1800s. And the main colors of tribal art in the Pacific Northwest are black and red with blue and green as secondary colors. Those secondary colors could be the key to differentiating the Seattle team from the Coyotes, Hurricanes, Blackhawks, Senators, Devils, or Flames on the NHL landscape. What if our team was red, black… and turquoise? By the way, that connection to native art wouldn’t be out of place in Seattle sports. Ever seen the Seahawks logo? How about the Seattle Thunderbirds of the WHL? We also got a new rugby team this year called the Seawolves and they went down that road too. Even better, there’s a built-in tie to the Seattle Metropolitans, who wore red and green in the early 20th century while becoming the first U.S. team to win the Stanley Cup in 1917. There’s not a doubt in my mind we’ll raise that banner to the rafters on opening night in October 2021. So red and black with perhaps turquoise as a secondary color? All things considered, I can get on board with that! As for the team name, don’t bet on Metropolitans. During this morning’s press conference, NHL Commissioner Gary Bettman all but dismissed it entirely, reminding everyone that our league already has a division with that name. He also said the organization has not submitted that name to the league as an option — which means they have submitted other names! What are they? I wish I knew. Sockeye and Kraken have been talked about for a while among the people I know and both have upsides. But it’s too soon to say what the group is thinking or where they’ll end up. But I’d be surprised if they don’t have an announcement to make by spring or summer of 2019 — the end of this season, basically. All that aside, Metropolitans is an awful name for a team debuting in the 21st century. And the past is the past. We should honor it, but we don’t need to relive it. We’ll have a Metropolitans Night for sure, complete with throwback jerseys and all kinds of commemorations. But there’s no reason not to make this new team… a new team! Given everything, I do get the sense that a name with a Native American theme is a distinct possibility. I’m not advocating for Totems… ever! That’s worse than Metropolitans and probably more offensive depending on who you ask. But I do think this group wants the franchise to honor the local population in some way. I’ll reserve comments on the many name suggestions and logo ideas floating around these days. There are some good ones and some bad ones. And unlike some of the goofy tweets I’ve read today, the team name, no matter what it is, will have no effect on my affection for this new club. I’m just happy to have the NHL in my town! Earlier today, Chris Creamer of SportsLogos.net asked me if this new team will be my team when it finally hits the ice. I thought a second and told him it will be… for 80 nights a year. When Seattle and Tampa meet twice a season, I’ll wear the bolt on my chest. I have to. But even then, I try to imagine sitting in the arena for that game — Tampa vs. Seattle. Which goal gets me on my feet faster? As of right now, I honestly have no idea. I guess I’ll find out in that moment. But regardless, I’ll be a Lightning fan forever. I always say, you don’t pick your team… your team picks you.